The weather around here has turned frigid, so it's officially winter...YUCK! Don't get me wrong, I enjoy the snow on Christmas, but I'd be happy if we never had it on any other day. And these below freezing temps make me miserable. 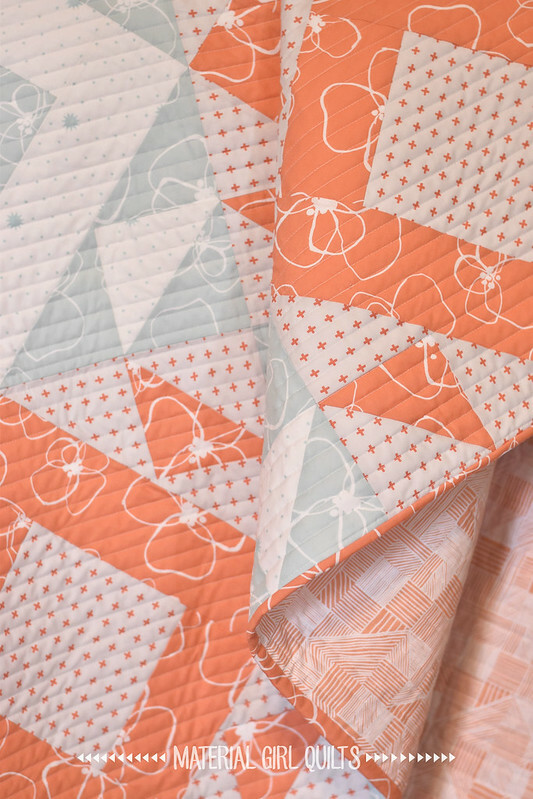 Thankfully I have plenty of quilts to snuggle in and stay warm :) My friend Jemima Flendt (from Tied with a Ribbon) lives in Australia and I'm pretty sure it's summer there right now. Maybe I should go and visit her for a bit! 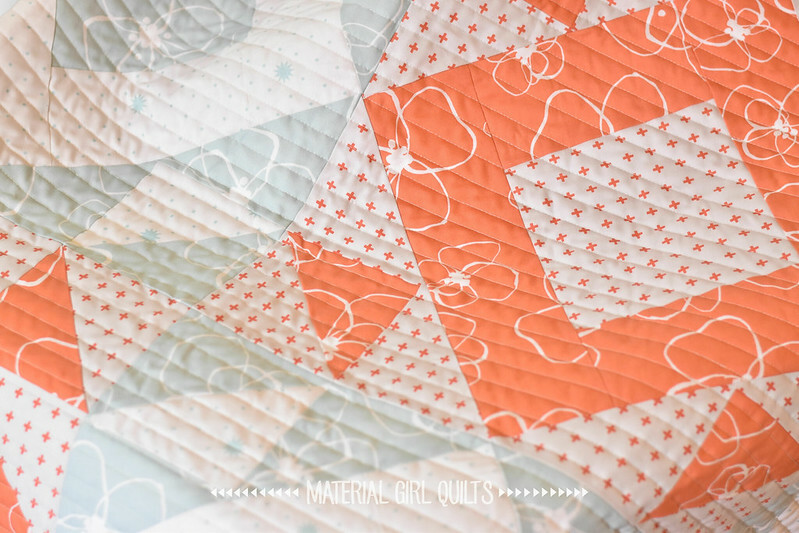 I did receive a copy of her just released book, Quilt Big, and today I'm here to show you the first project I've made from it. 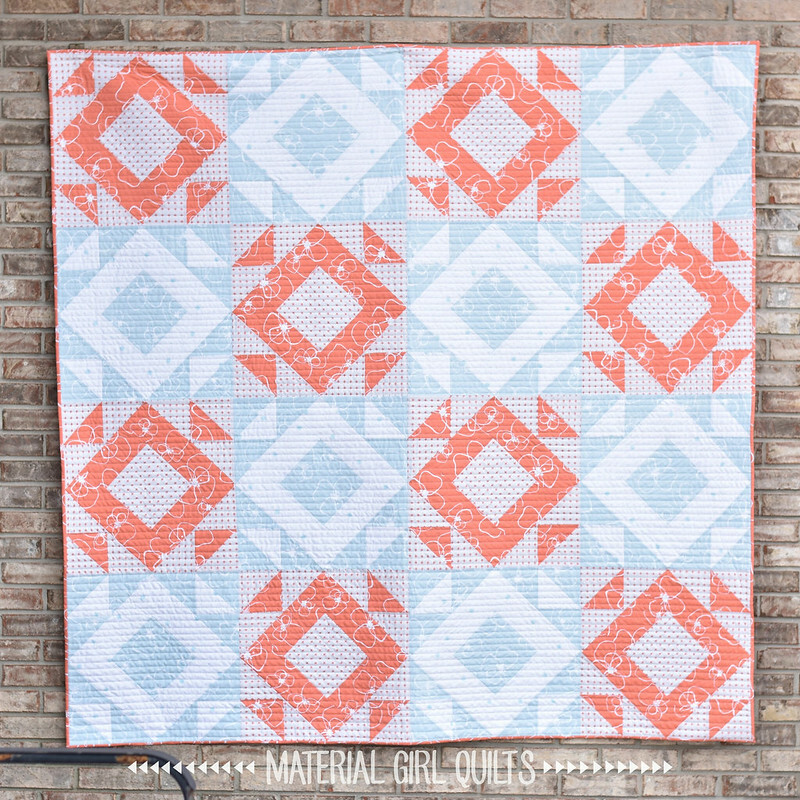 This pattern is named Mosaic and the fabric I used from my stash makes me think of the beach and warmer temperatures. 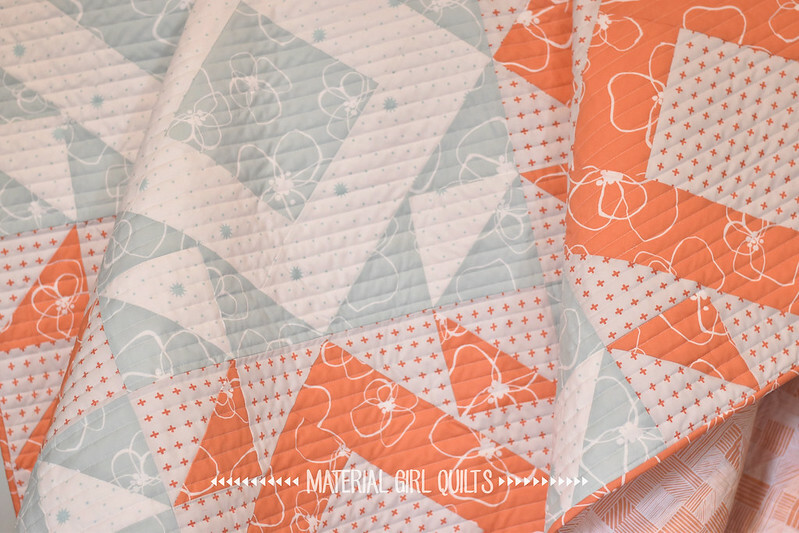 I love this quilt for a number of different reasons (1) it has two of my very favorite colors - coral and aqua; (2) I used only fabrics from my stash - YAY! 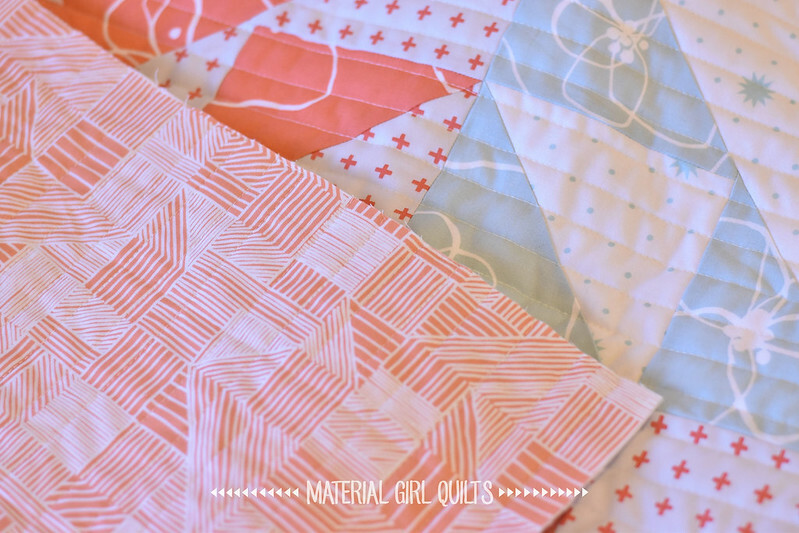 and (3) the blocks are big, so it went together quickly! I also kind of love the way it looks when you see it on point like below...might have to try that some time. 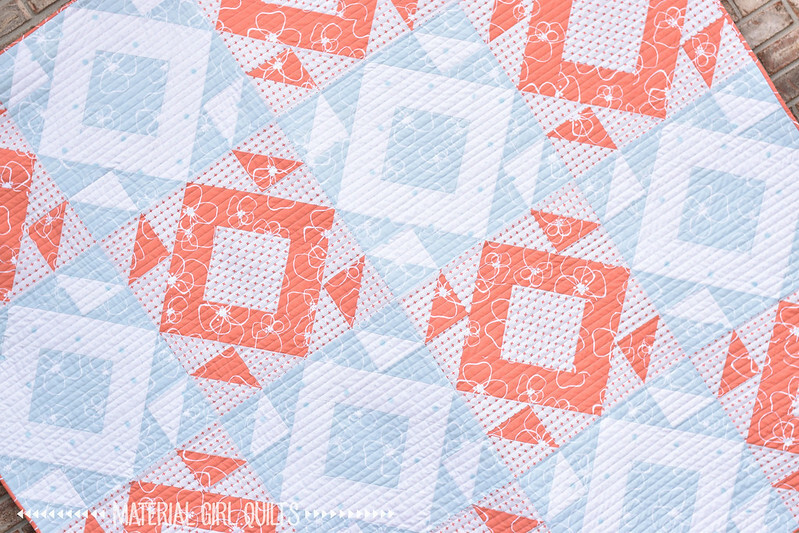 The photo below shows a better view of the backing fabric before I added the binding. It also is probably the most accurate in capturing the true colors of the fabric. It's so hard to get good photos when every day is gray!!! So, are you like me and long for summer months? !